Wheel throwing for beginners. April workshops. 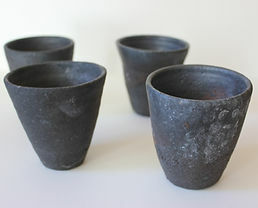 Learn and explore basic wheel throwing with Ceramic Artist Fiona Cuthbert O’Meara. Start date: Thursday April 25 until May 23, 2019 (inclusive). Cost: $198 incl. per 5 week block. No prior experience necessary. All clay, tools and equipment provided for duration of workshops. Bisque firing included. 11A Maple Street, Cooroy, Queensland, 4563.